One of the hottest tech gifts of 2016 may be a throwback to 1985. 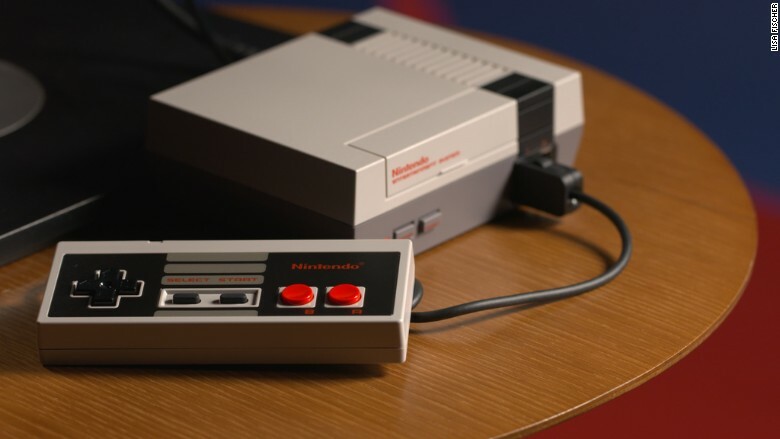 Earlier this year, the company announced plans to launch a tiny-sized NES Classic Edition -- a system so petite it can fit in the palm of your hand. The news pulled at the heartstrings of everyone who grew up in the '80s, evoking memories of sitting on the carpet of your childhood home and defeating King Bowser in the final level of Mario Bros.
More than three decades later, Nintendo (NTDOF) has stuffed 30 of its classic games -- from all the Mario Bros. franchises to Legends of Zelda, Pac-Man and Castlevania -- into one mini console (5 inches x 4 inches x 1.6 inches). The system, due out November 11, serves them up in a Netflix-style menu that makes it easy for scrolling. You won't find a single physical game cartridge included. 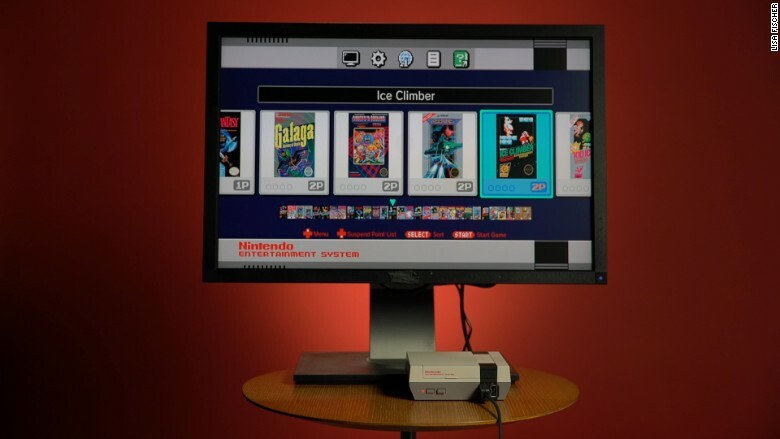 Considering those games have been available for download on Nintendo's Wii system for years, it was unclear if packing them into a retro-style console was a gimmick or something worth the $60 price tag. But the magic of classic Nintendo is unquestionably preserved in this mini system. I can't remember reviewing another product that's made me smile quite as much. The USB-powered system comes with one controller -- the second is sold separately ($10). But it's possible to switch to two-player mode and trade off using the same controller. Set up is easy: Plug it into an outlet or your computer and connect the HDMI cable to a TV or monitor. Also included: gritty graphics, familiar music and the satisfaction of recalling which green pipes in Mario Bros. transport you to coin-filled secret lairs. 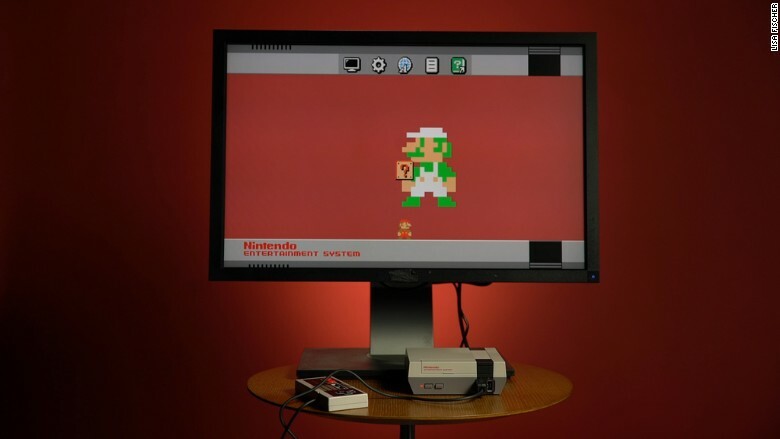 Once you've powered up the system, you'll select from one of three display options: "Pixel Perfect," which gives you a modern sharper image; a 4:3 aspect ratio mode; and another that slightly (and purposefully) distorts the picture for nostalgia's sake. The games hold up, if you can get past the simplicity and old-school graphics. But what makes the experience special is that you're playing through the iconic console itself. If you purchase an original Nintendo classic console on eBay now, it will cost at least $100 -- and that's before investing in games. The fact that the NES mini puts everything you need into one portable package is not only convenient but also cost efficient. While there's a lot to love about the console, there are a few areas in need of improvement. The short length of the controller's cord isn't optimized for sitting on the couch -- perhaps that's why we always played on the floor years ago. A look at the game offerings on the NES Classic Edition. The system also doesn't connect to the internet. This means it's not upgradable. You'll be satisfied with 30 games, but it limits Nintendo from ever pushing out other titles, features or updates. Nintendo isn't too concerned about this; after all, it's saving the real innovation for its Nintendo Switch console -- part mobile, part home system -- coming in early 2017. But overall, the old adage holds up for Nintendo's throwback console: Good things really do come in small packages.